You have all seen photos of this place. 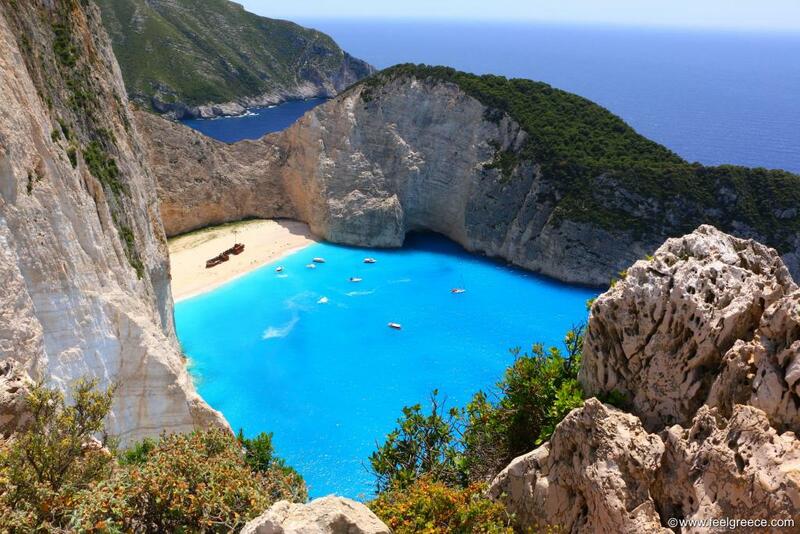 Navagio, the most famous beach of Zakynthos and the Ionian islands group, lies in a small cove fenced with vertical white cliffs. The beach itself is very dramatic, with milky blue water and smooth white pebbles. It would have been stunning even without the shipwreck but the rusty skeleton of the ship makes it unique. The place is favored as a spot for shooting music videos, model sessions and BASE jumping. 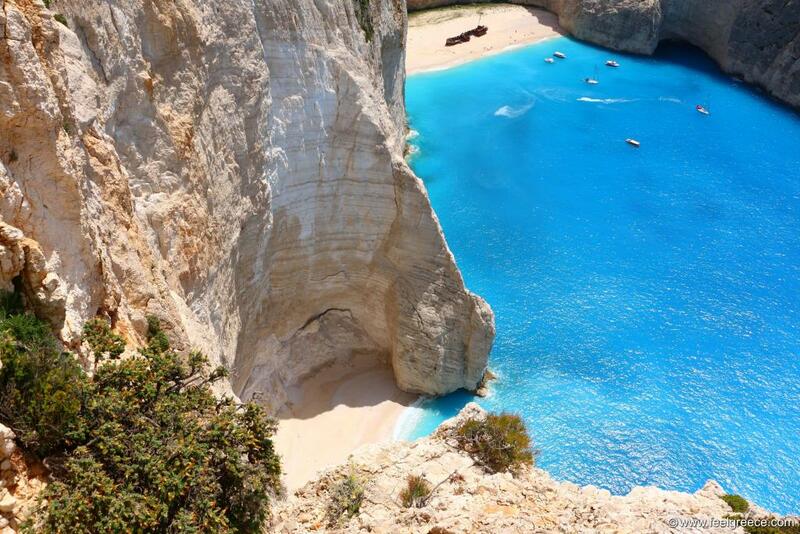 The photos of Navagio are one of the kind that make you say "I wanna go there!". But how to? Zakynthos can be reached both by ferry and airplane on a regular schedule, so getting to the island is not difficult at all. Now, let`s see how to visit the out-of-this land beach. Navagio lies on the west coast of Zakynthos which is characterized by inaccessible sheer cliffs and no seaside settlements. 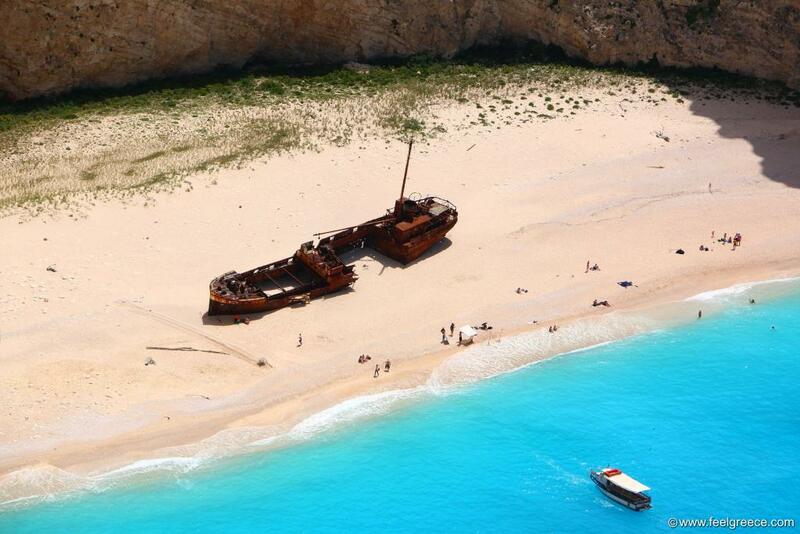 The original name of the beach is Agios Georgios but no one uses it any more since the ship appeared in 1983. There are a few theories about how Panagiotis, as the ship was called, got there and the most common spread is about crush during smuggling in a stormy night. Accidentally or not, the crush happened on this beach, making it one of the most popular and photographed places in the Mediterranean. 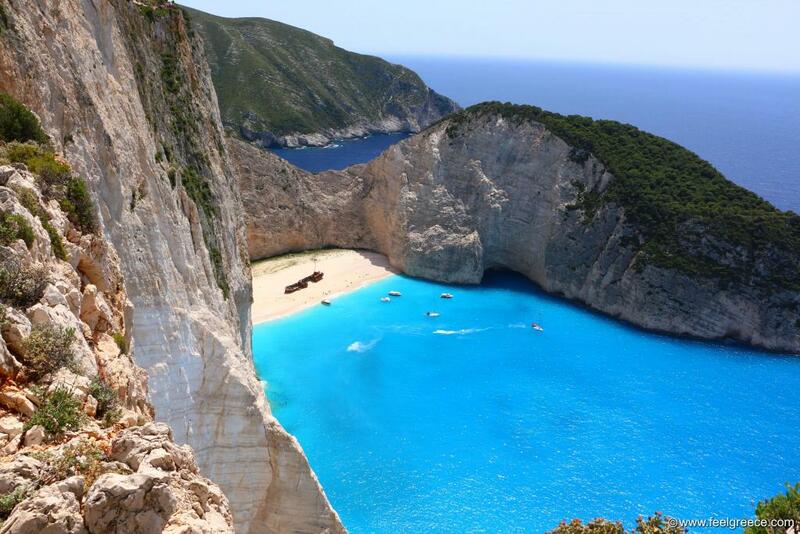 Ever since the beach is officially known as Navagio, the Greek word for "shipwreck". The ruins of Panagiotis rise up on the sand in the middle of Navagio, exposed to all nature forces and happily welcoming tourists (though some of them are not so good-intended and leave scratches and inscriptions on Panagiotis). The beach has coarse sand and small pebbles around the shore and on the sea bottom. Some people do not like the pebbles but the incredible blue color of the sea here is partially due to them. 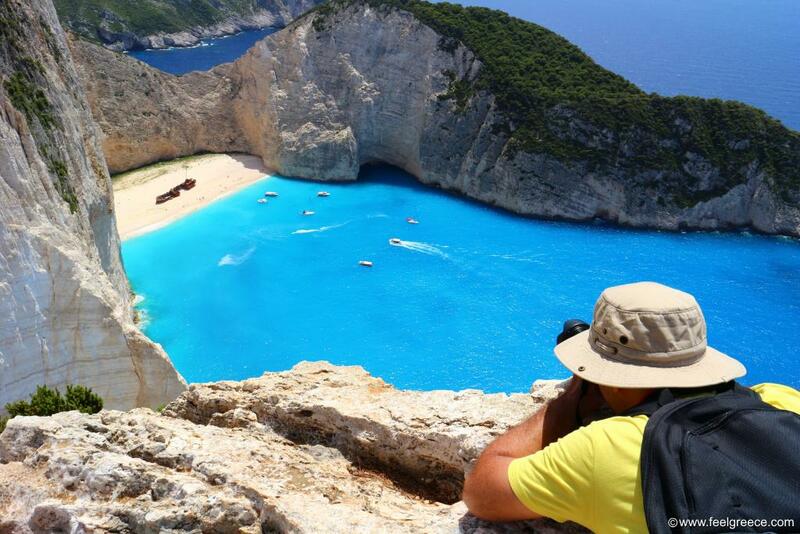 In the season Navagio is usually overcrowded, so if you visit it in this period you should keep it in mind. An option is to come in the afternoon, hoping that the organized cruise boats are already gone. Early morning visit is not recommended - the beach would be empty but in shade and without the sunlight Navagio is not what it is. 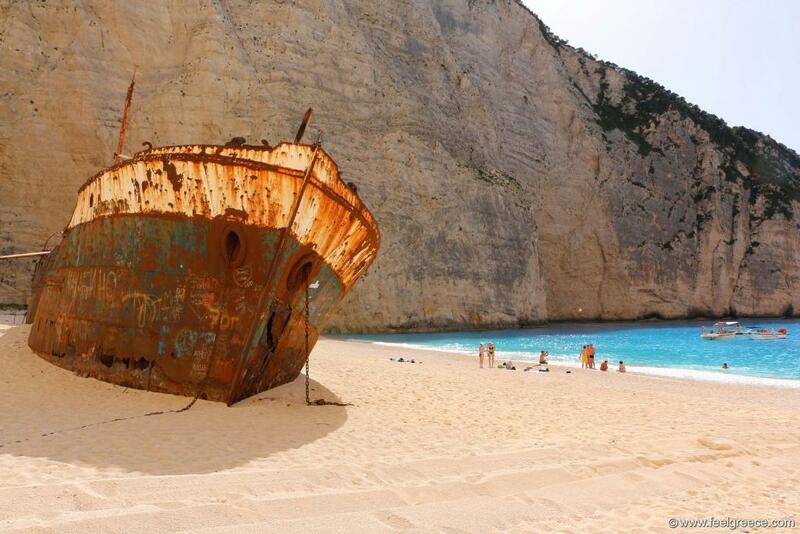 The best time to see the Shipwreck beach is May, early June or middle September, considered that the sea is warm but there are less tourists on the island in general. The beach can be accessed only by boat and plenty of boat trip offers are available. 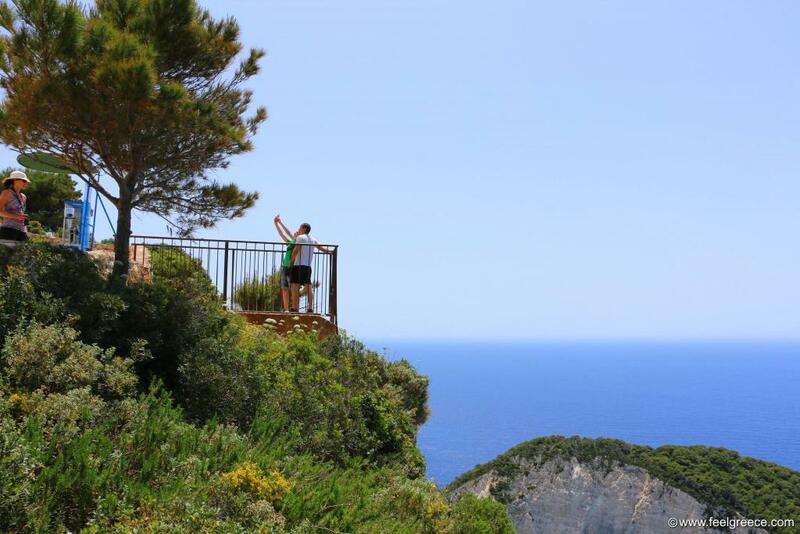 There is no way to climb up the cliffs or go down them and before you start wondering - the distant photos of Navagio you have seen from above were shot from an observation platform above the beach. The platform is accessible via roads from the inland villages of Volimes and Anafonitria in the northwest part of the island. Other photos are taken from the jump off point just above the beach - it is used for parachute and rope jumping, as the parachute allows people to "fly" for 2-3 seconds before it opens and they land on the beach. Despite the tragic incident which happened there in 2012 and resulted in the death of a parachute jumper, Navagio is still among the most preferred spots for this extreme sport. 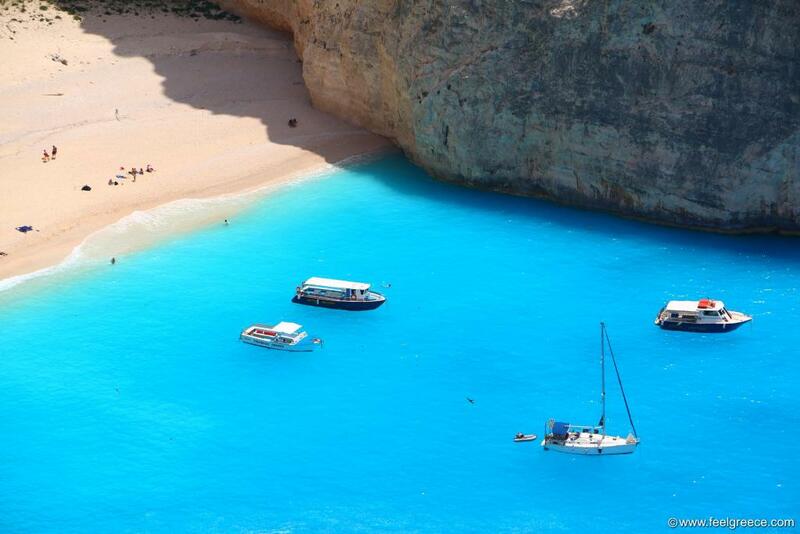 Once on Zakynthos, there is no chance to miss the offers for boat trip to Navagio and the Blue Caves, they are everywhere around you. Some of them are full-day cruises which tour around the island and the Shipwreck beach is part of their program. 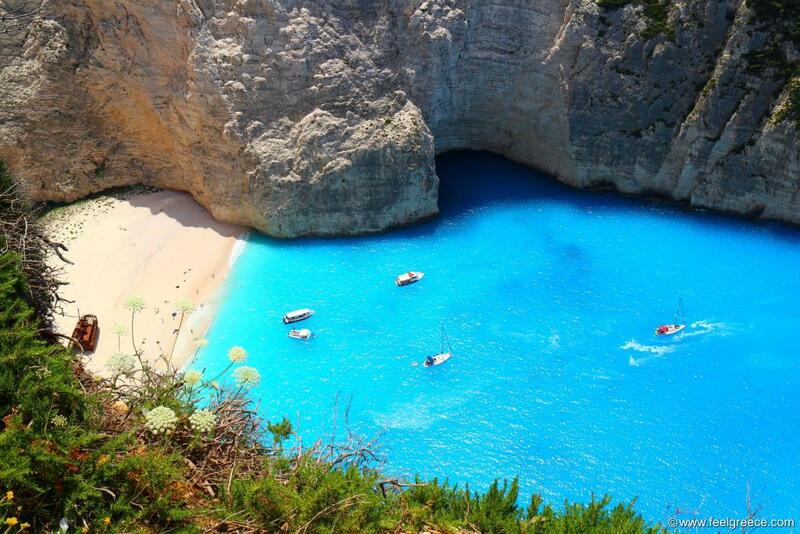 Such trips are available from Zakynthos town. They are good if you want to see the entire island cove and the Blue Caves but if Navagio is your purpose, these trips may disappoint you because: 1) You will have just 15-20 minutes on the beach for taking photos and selfies, and 2) Probably there will be more cruise boats with more people, as they tend to come at the same time, plus the private boats, boat taxis and parachute jumpers. 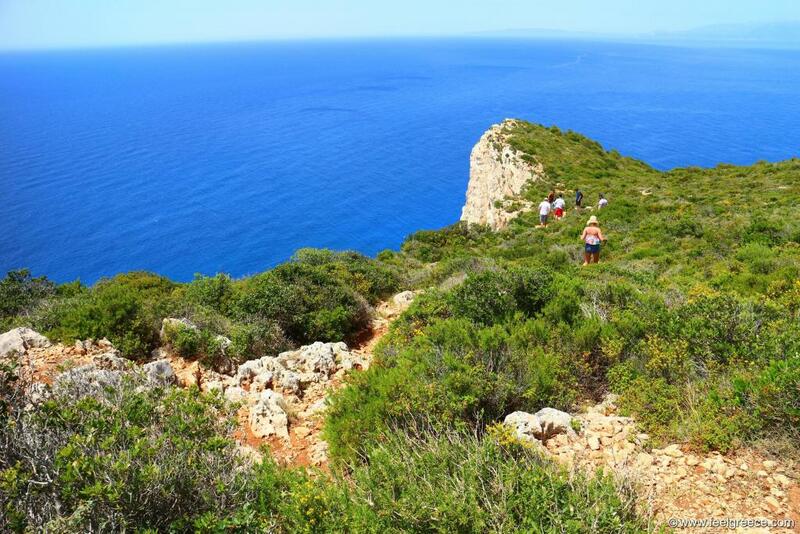 The other option is to take part in a trip which tours only around the Blue Caves and Navagio - such are available from the northern villages like Alykanas and Agios Nikolaos Volimes and from Cape Skinari. 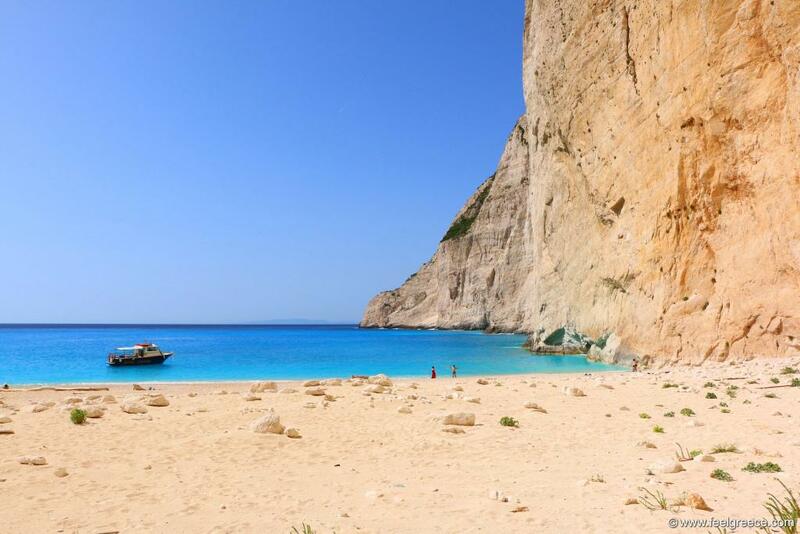 The boats are smaller, the trip takes less and allows you to spend more time on Navagio. Shared and individual boat trips are available also from Porto Vromi - it is a small harbor on the west coast and the closest to Navagio place from which you can hire a boat. The third option is to hire a shared speedboat for 8-10 persons or to hire a boat entirely for yourself. Speedboats are available from Agios Nikolaos Volimes, they are really fast and take you to Navagio for 15-20 minutes, leave you there and come back to pick you up in 2 hours. 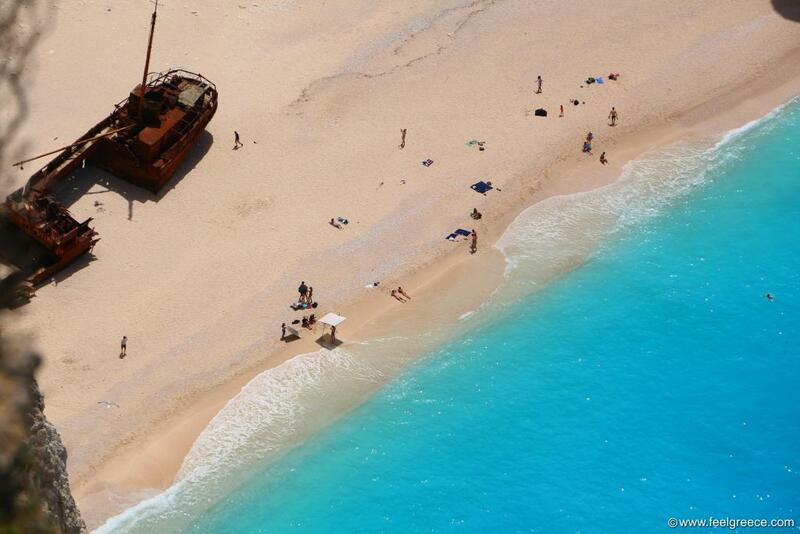 If you choose this kind of transportation to Navagio, be aware that there is no pier at the beach. The cruise boats have planks on which you can walk and land on the beach without touching the water. The speedboat will leave you as closest as possible to the beach but in the final part you need to jump off in the knee-deep water and walk a few meters to the shore. It is neither difficult nor it requires swimming and yet it is good to know in case you are not prepared to get wet. And for our team the jump ended with a camera plopping into the sea, something we always remember when we see photos of Navagio and one day we may write a travel article on topic "How to drown your camera on Navagio" or kind of. Visiting Navagio by boat is a must on Zakynthos but it cannot be compared to the view revealed from edge of the cliffs above. Seeing the beach from the sea and from the cliff top is like seeing two different places and the best is if you can do both. The platform is easily reachable by car, your own or rented. Bus trips are also organized but like the full-day boat trips there is one negative - you will spend very little time there because it will be part of a program intended to show you as many places as possible in a day. Moreover, the best view is not from the platform. The platform itself shows just part of Navagio, it is small and protected with fence, suitable for 2-3 persons to be on it at the same. While you are taking photos from the platform, others are waiting nervously for their turn, especially if there is a bus with 30+ persons on the queue. You will also notice that the some people pass by the platform and head towards the end of the cliff - it is flat, covered with stones and grass and relatively easy walk on but it is dangerous because there is no protection. 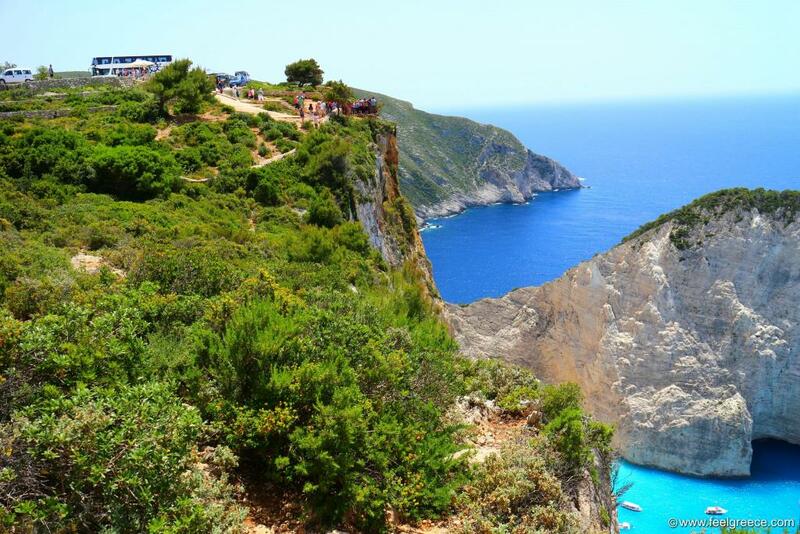 At the end of the cliff you will see the beach just like you have seen it on its best photos, and you will also notice another small beach next to Navagio which is not visible from the platform. Once again - the platform is the only safe place from which to see Navagio. Walking on the cliff top is dangerous and entirely at your own risk. As long as you keep enough distance from the edge it will be ok but there is no fence or other kind of protection to prevent falling if you come very close and slip or stagger. When there, we saw a few persons taking selfies at the very edge and risking to be announced on the news but fortunately it all went good. People waiting for their turn at the platform. That is what you see of Navagio from the platform. Walk to the edge of the cliffs.